The holiday season is upon us again and we are all starting to wonder what unique gifts to give our loved ones. 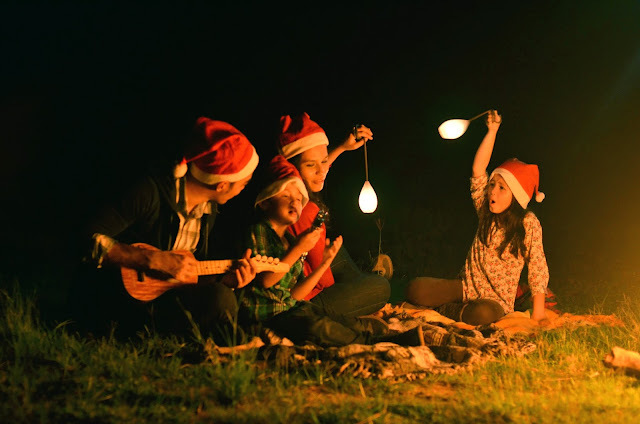 Instead of dashing around malls looking for the perfect gift, why not give them the gift of a unique camping experience instead? Ho, ho, ho! It's the season for gift-giving and receiving once again. That is just what the Alviera Christmas Jamboree is offering. 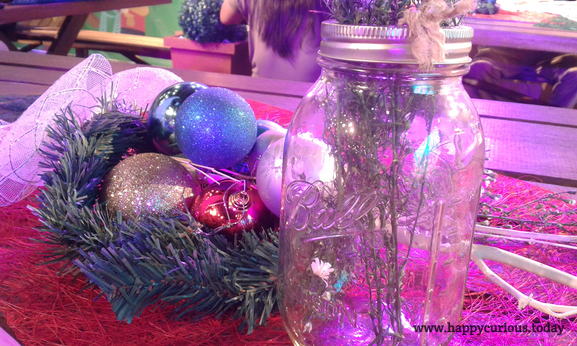 This is a great Christmas gift for families and first-time campers to experience. 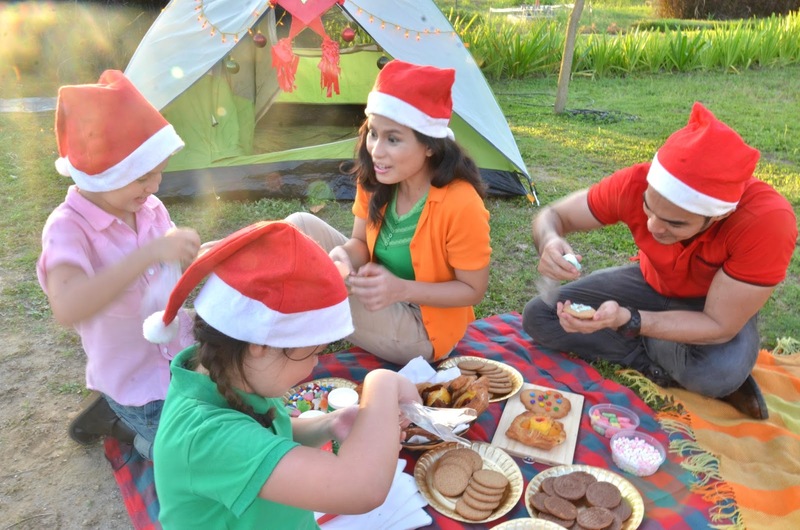 If you happen to enjoy camping, then be sure to book yourself a tent for this fun, holiday experience. 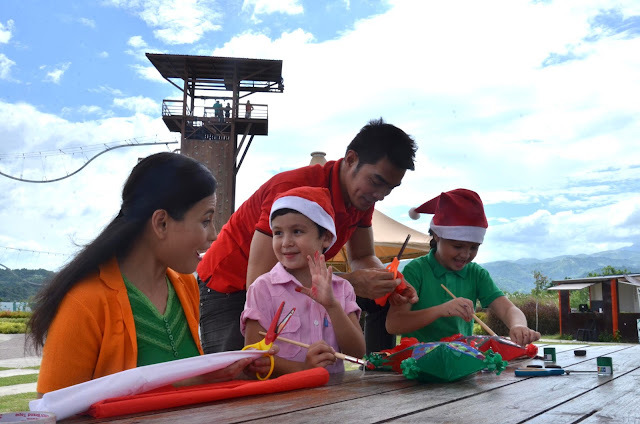 The camping adventure will be held in the SandBox which will transform into a "Christmas wonderland with festive workshop tents, life-sized Christmas displays and numerous parols or Pinoy Christmas lanterns lighting up the campsite." Alviera is here not just to merely create an economic hub, we are also making sure that the natural beauty of Porac is preserved and highlighted. Our role as a developer is to simply enhance God's gift to us and the best way for people to appreciate this would be to bring them closer to nature through camping. During the launch, held at the Mind Museum in Taguig, we were shown pictures of the future landscape for Alviera. It included lots of open space and walkways in a garden setting with lots of trees and a river too. I am personally hoping that this picture of a vibrant space where people can enjoy nature is realized soon. 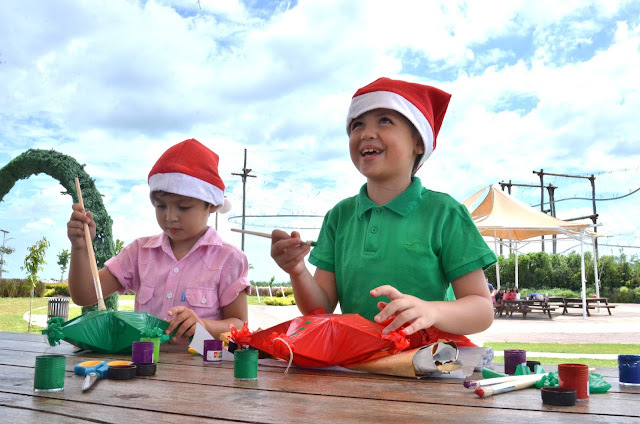 In the meantime, one can enjoy a glimpse of the future with a fun Christmas adventure at the SandBox. 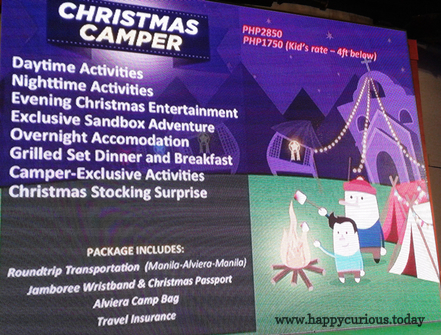 Alviera offers 2 packages that interested campers can choose from. 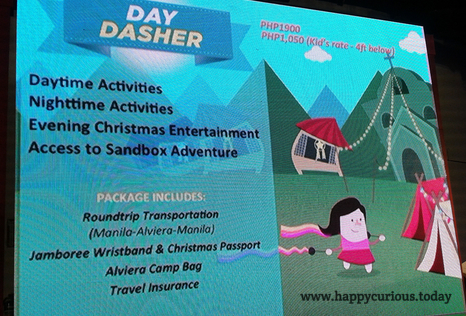 Both packages include a Christmas Passport with raffle stubs for exciting prizes. There are special rates for kids: Php1,050 for the Day Dasher Package and Php1,750 for the Christmas Camper Package for children 4 feet and below. 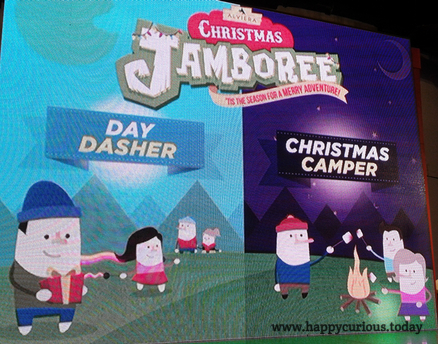 Here's a preview of the fun activities in store for participants. All these activities look fun and will definitely create lasting memories for families and friends to cherish for years to come. 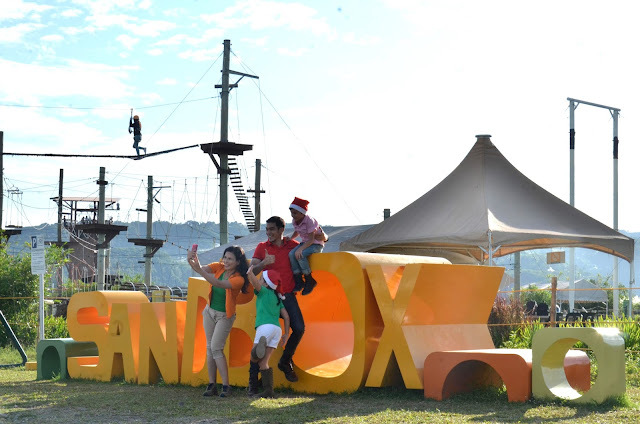 This experience is presented by Ayala Land and Leonio Land in partnership with Travel Factor, Coleman, Alveo, Avida, Nestle Chuckie and Business Mirror as well as R.O.X., The North Face, TriNoma, Marquee Mall, Philippine Daily Inquirer, Philippine Star and Manila Bulletin. For reservations and booking guests can visit the Travel Factor website. Images of family members from the press kit provided.